Panquetzani breathes new life into ancestral traditions, offering time-tested techniques inspired by Mesoamerican medicine, Mexican folk healing, traditional foods, and herbalism. Panquetzani honors the over 4,000 year-old traditions of her foremothers and integrates her 16 years of study into her practice. She comes from a matriarchal family of folk healers, growing up with bedtime stories of magic, miracles, and deep transformation. 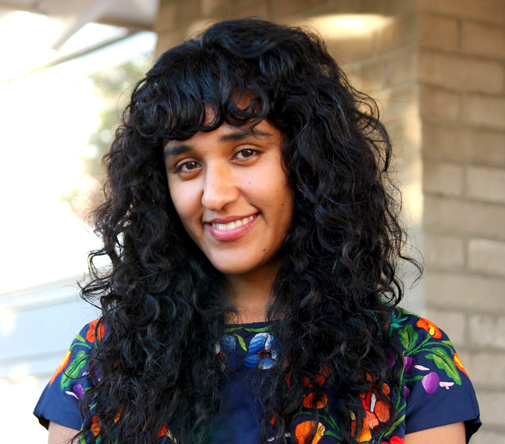 These impactful narratives have led Panquetzani to believe that all people have innate wisdom that can revolutionize their own well-being and that of their families. As a holistic womb counselor, complete wellness coach, traditional birth attendant, and foundress of Indigemama: Ancestral Healing, her goal is to support, educate, inspire, and gently guide her clients and students. On her days off, you’ll find Panquetzani fermenting, writing, preparing herbs, playing music, and exploring nature with her sons. Indigemama: Ancestral Healing helps hundreds of women each year attain optimal feminine health. Inspired by Mexican Traditional Medicine, we have offered over three dozen workshops throughout California, the Midwest, the East Coast and internationally. Indigemama believes that women are the bearers of culture, our first teachers, and healers of the family unit. We acknowledge that all human life comes through a woman’s sacred passageway and that an intimate connection with the divine and Earth are maintained through this channel. Indigemama seeks to honor this by helping you maintain a balance within yourself, your family, and the Earth, beginning with your womb. Through in-person consultations, phone and Skype sessions, and pre-recorded distance courses, Indigemama aims to contribute to your education with ongoing support and guidance. 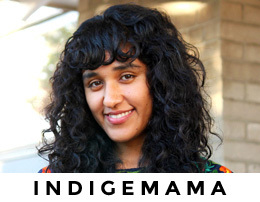 To date, Indigemama has assisted more than a thousand women in 11 different cities using womb healing and sobadas (womb massage), herbalism, holistic pregnancy coaching, and full-spectrum doula services.